Maternity leave seems like ages ago now and I am back at work full time, juggling looking after Nicole with the help of my aunt. A lot of you on Twitter have asked how on earth do I do it... well it's all about planning ahead, writing "to do" lists and generally being super organised. My set up is that I work full time, five days a week Monday to Friday 9-6pm - long hours right? Three of those days I’m in the office and 2 days I work from home whilst looking after Nicole. Generally I go into work Monday to Wednesday and during those days my aunt stays over to look after Nicole or Nicole will stay at hers which is nice as it gives us both a break. Over the last seven months I have learnt an awful lot and picked up plenty of tips along the way, so I thought it would be great to share some of them with you all. 1. Whatever you do, always plan ahead - planning is the key to everything running smoothly. 2. 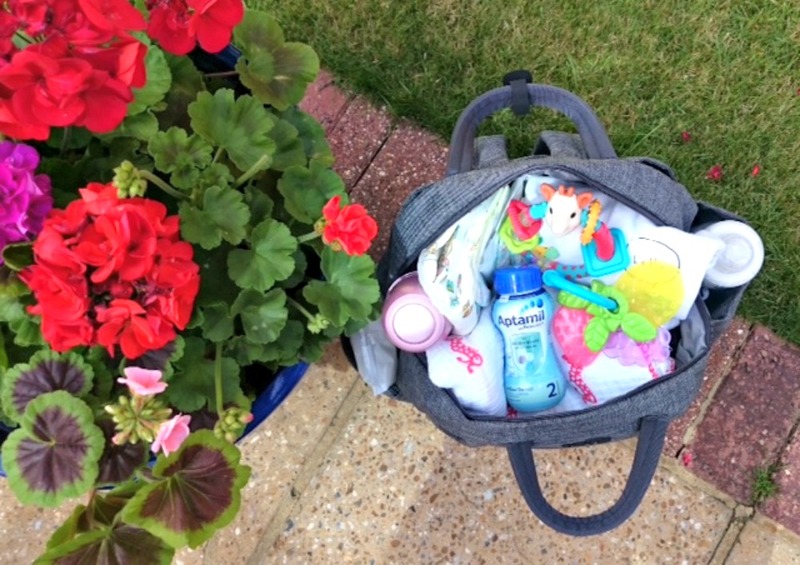 If you’re heading out, always pack your nappy bag the night before and pack lightly. Instead of taking a massive tub of nappy cream out we always decant some into a small pot. 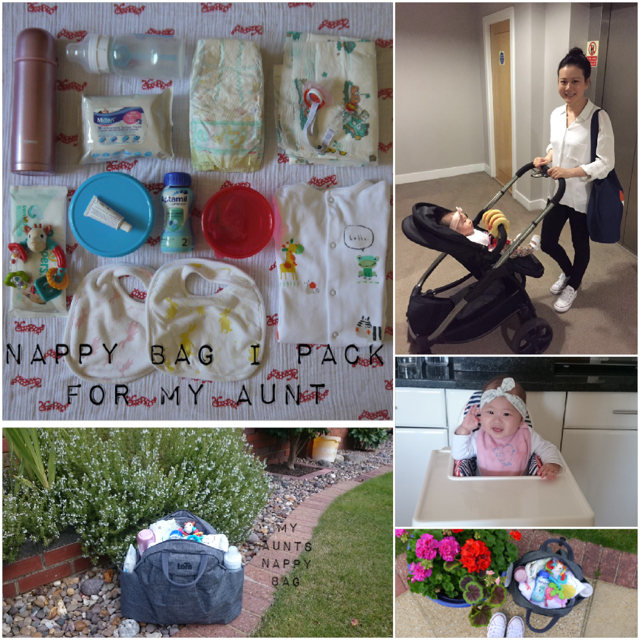 Instead of taking a huge pack of nappy wipes, take small sample packs or when you are half way through a pack stick that in your nappy bag so its lighter to carry around. If you are worried about not taking enough you can always pop another bag in the boot so it's always there as you need it. 3. I always carry two bottles of ready to use formula Aptamil Follow On Milk for convenience as you don’t need to mix it up and you can feed at room temperature or warm it up. If you are out for a whole day your bag will get lighter as the ready made formula gets used. 4. Write "to do" lists so you don't forget anything. 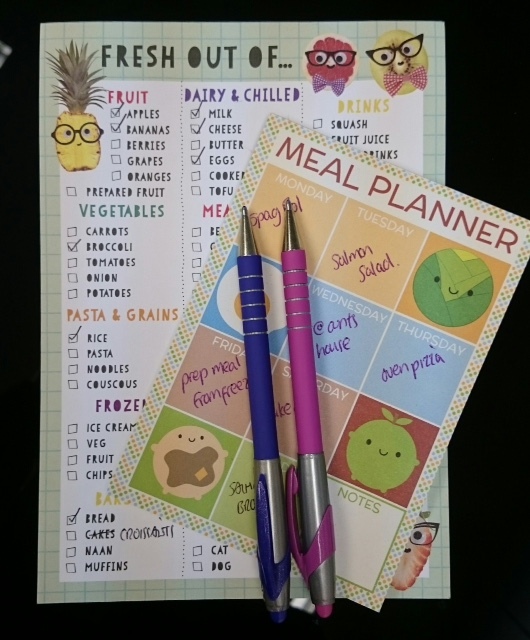 From errands to food shopping and tasks around the house. Write things down as you run out of them, so as and when you use things up, you won’t forget to replenish. 5. Carry a paper diary – I’m old fashioned and I prefer to actually write things down, I hate putting everything on the phone / ipad. When they talk about "baby brain", it really does exist in the first few months. I found writing things down like who I am meeting, which date, when are Nicole's doctor’s appointments, dog grooming appointments, when car insurance is due etc... Buy something light so you can carry it around with you all the time. 6. Always accept help from other people - when my aunt stays over she runs errands for me such as collecting Nicole's doctors prescription or picking up bits and pieces that are needed around the house. 7. In my opinion, routine is key. From the day Nicole was born, we have always used the Baby Tracker app to keep track of feed times. Especially in the first few months when you are constantly feeding and it’s really easy to lose track. 8. 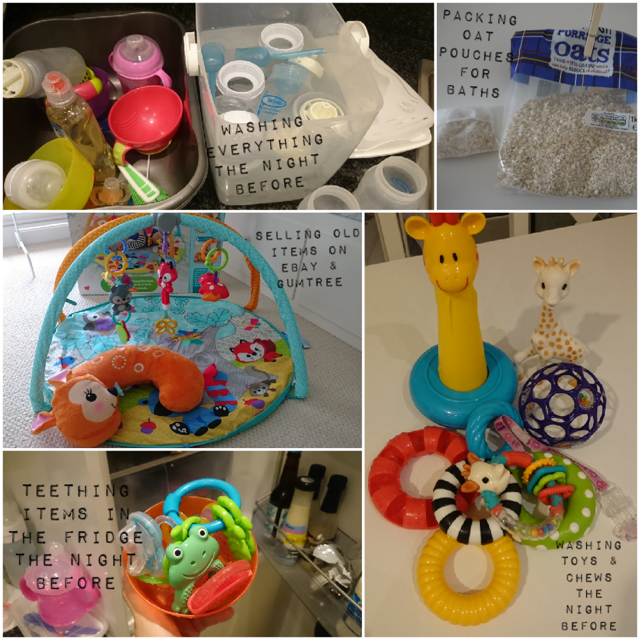 When your little one starts teething, wash all of the teething chews the night before and pop them in the fridge so they are ready to use the next day. They can keep Nicole occupied for up to an hour! When she finishes I wash it and pop it back in the fridge and get another one out so they’re constantly on rotation. 9. If you work in the office like me, try and make use of your baby-free lunch hour. I generally catch up on personal emails, read blogs, catch up on social media, check my bank balance etc... all those little things you never have time to do in the evening. 10. De-clutter and sell your old items. When you buy something never throw away boxes; always keep them for when the time comes to sell. We are not planning on a second baby so anything we have finished with, I list on eBay / Gumtree and so far everything has sold. We then use the money to buy other things we need or new toys. 11. Keep all your baby receipts together in one big envelope. If things brake after a few months it's so much easier when everything is in one place. Replacing things can be costly and it all adds up quickly. 12. Make full use of online forums where you can chat with other mums (Baby Centre) who have also had babies in the same month as you. You are all going through the same and it's easier to ask each other questions and find support. 13. No need to buy fancy lotions and potions for your little one. We use plain simple porridge oats for bath - yes the stuff you eat for breakfast. You can buy a huge bag for around £1 and it lasts a long time. I put them in coffee filter bags and leave it in the cold water to soak (baby bath tub) in the morning so when I come back from work the water is creamy. I just add hot water to warm it up, ready for bathing. Oats are super moisturising, especially if your baby suffers from eczema or dry skin - I highly recommend it. 14. Each area is different, but we have a local "Sure Start" where they offer plenty of events for you and your baby to attend for free. Local libraries also offer free gatherings encouraging your little one to start reading from a young age. 15. Sleep is what everyone misses when your baby arrives and the million dollar question is: "when will my baby sleep through?" From my experience routine is key and being able to observe and read clues from your baby. A couple of things which helped Nicole sleep through fairly early on were Sleepyhead and Ewan the sheep. Certain things keep value and Sleepyhead is one of them, we brought it for £110 and sold it for £70 and got a good 5-6 months use out of it. Have you got any tips to share with me? IMPORTANT NOTICE: Breastfeeding is best for your baby. Follow-on milk should only be used as part of a mixed diet and not as a breastmilk substitute before 6 months. Use on the advice of your healthcare professional.